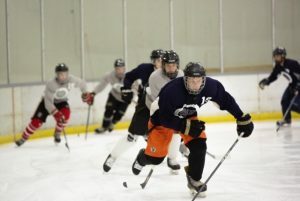 Our Summer Development Training Camp is designed to strengthen and improve core hockey skills over a six-week period, skating twice a week which will allow for the player to learn and grow with consistency. Picture a nail being hammered into a board, it doesn’t happen all at once, but over time it sinks in. This program was created for players to continue their hockey skills development over the summer months when most hockey clubs break. Our low skater-to-coach ratio is designed as a teaching environment which allows for players to properly train and practice what they are learning with proper corrections from our highly trained coaches. Using small area training techniques, the program will focus on: power skating, explosiveness, quickness, stick handling, puck protection, deception, passing, and shooting. This 7-week program is for birth year 2005-2002 that are projected to play high school or high school aged hockey. It’s designed to provide complete development and preparation of the athlete for the entire season. Repetition and consistency will develop and strengthen player’s weaknesses while continuing to strengthen a player’s strengths. Training will include power skating, explosiveness, quickness, stick handling, puck protection, deception, under handling, isolating and then combining hand skills with foot skills. Every Friday we will hold video review sessions recorded from the previous week of camp to point out and analyze how to improve each players skating, skills, and competitiveness. Video Sessions every Friday from 11:15am – 11:45am in which video will be reviewed from the previous week. Hockey is a year-round sport. Even when games aren’t being played and the weather hardly reflects a hockey season, to excel at this demanding sport players must train regularly with coaches who are experts at recognizing and developing players’ skill sets. The 4D Hockey High School Development Camp is designed to provide complete development and preparation of the athlete for the entire off-season. Repetition and consistency will allow players to transcend their weaknesses while reinforcing players’ strengths. The Training program is designed for every drill to correlate to the player’s performance in a game. Consistent off-season training is what turns a regular hockey player into a stronger, faster contender. The athletes who take their sport seriously and dedicate themselves to conditioning – all year long – will catapult themselves ahead of the competition. The rule is simple: To be good at your sport, you have to train. Train hard. Train often. Train well. Shooting: Players will learn about different types of shooting – reshoot, snapshot, slapshot, backend shot – and practice how to manage these shots at varying rates of speed. Learn how to fake a shot, take a shot in small areas, and become adept at shooting no matter the position or constraints. Each of these techniques will be isolated at first, eventually working up to combining hand skills with foot skills. 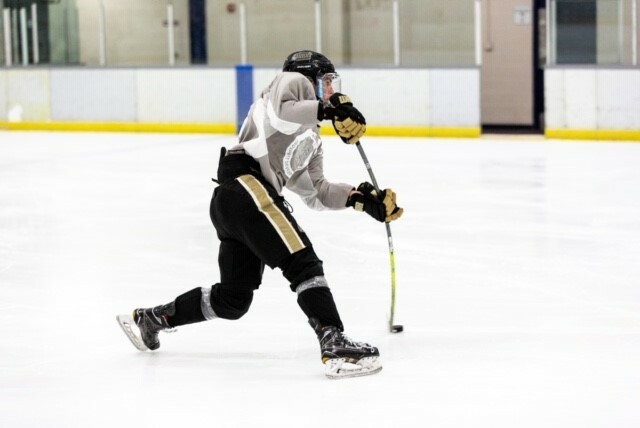 Practice and repetition always have a place in hockey, and this type of meticulous training is what reinforces a player’s endurance, a skill that’s mandatory for a player to excel and take the next step in their hockey career. 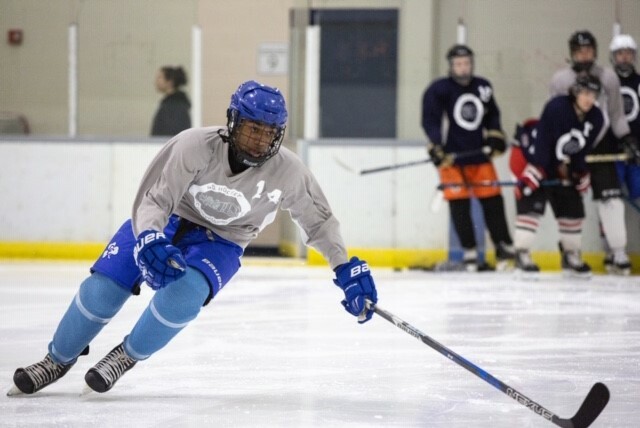 This seven week program is for birth year 2002 and older players that are projected to be drafted or play at the collegiate level as well as established players in Junior hockey and above. It’s designed to provide complete development and preparation of the athlete for the entire season. Repetition and consistency will develop and strengthen player’s weaknesses while continuing to strengthen a player’s strengths. 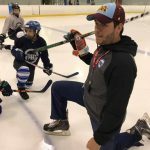 Training will include power skating, explosiveness, quickness, stick handling, puck protection, deception, under handling, isolating and then combining hand skills with foot skills. The camp is led by head skills coach Petr Tichy plus professional guest coaches. The 4D Hockey Off-Season Prospect Development Program is designed to provide complete development and preparation of the athlete for the entire off-season. Repetition and consistency will allow players to transcend their weaknesses while reinforcing players’ strengths. The Training program is designed for every drill to correlate to the player’s performance in a game. No matter what age group a player falls into, the necessary skill sets to be an outstanding hockey player remain the same. And the right training, from year to year and season to season, is what turns the local hockey league player into a member of the AAA Hockey League, Junior Hockey, NCAA hockey, the American Hockey League, and, ideally, the National Hockey League. Note: There will be no camp the weeks of July 1st – 5th and July 22nd – 26th. 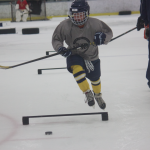 Fee: $699 / Includes 24 hours of on ice training skills development! Skating: power skating, edges, pivoting, crossovers and backwards skating. We will also hold 1 hour video sessions once a week for the player to visually see these principles in action.